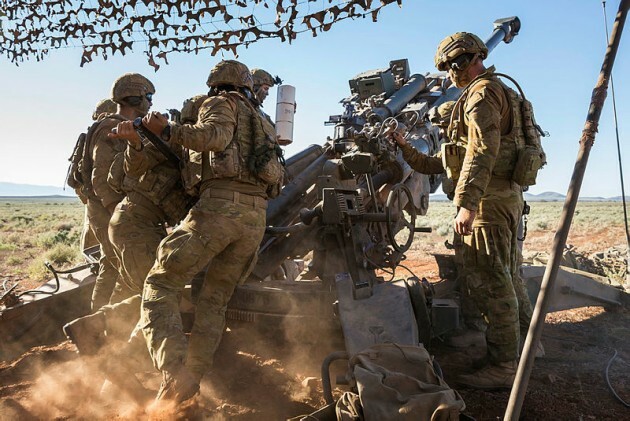 The first delivery of Assegai 155mm munitions has recently arrived in Australia, eight months after the contract was executed in December 2017. The ammunition is destined for use in the Army's fleet of M777A2 howitzers under the Land 17 Phase 1C.2 Future Artillery Ammunition project. The new shells will supplement the ADF’s existing ammunition stock and provide increased range, lethality and first-round-on-target accuracy. Including the qualification lots and war reserve stocks, the order is worth around $100 million. It also represents the first time that a nation using M777A2 field howitzers has opted for the Assegai projectile family. NIOA partnered with Toll Logistics-Mining/Toll Global Forwarding to overcome significant logistical challenges to deliver the munitions into Australia. In a statement, NIOA said that its partnership with Rheinmetall Denel Munitions, Nitrochemie, and Junghans Defence enabled an expedited manufacturing schedule for the various components of the munitions. These include high explosive (HE) munitions, training and illum rounds, modular propellant charges, primers and high performance fuzes. Further deliveries of pre-formed fragmentation, insensitive HE and smoke natures are planned for 2019 for the beginning of the ADF’s qualification program. The contract includes a program to fully qualify the Assegai munitions family in the M777A2s, including integration into the Advanced Field Artillery Tactical Data System (AFATDS) fire-support command and control system. The supply of war stock will follow once qualification and integration is complete.